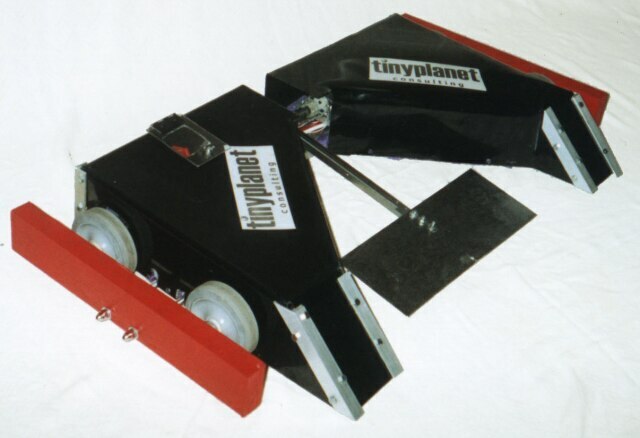 Tinyplanet Consulting is proud to sponsor Team Stingray's combat robots. The record so far for this lightweight (60 pound) machine in RFL competition is 11 wins, 8 losses, 1 tie. 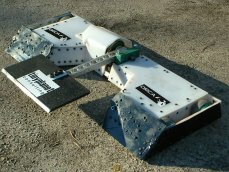 Orca competed at the Battle Beach RFL events in 2003 and 2004. Orca also won the lightweight rumble at the first RFL Nationals in 2003. The photo on the right shows later revisions to Orca, with simplified and strengthened main armor, wheel armor, a lighter lifting arm package, and other improvements. 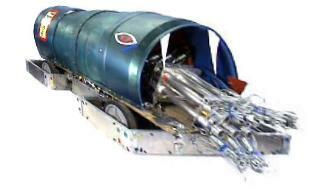 This machine was designed on a computer using SolidWorks. This robot was built in 2002 just to be sold. After it won the Dragon*Con 2002 Royal Rumble, it found a buyer. More info. 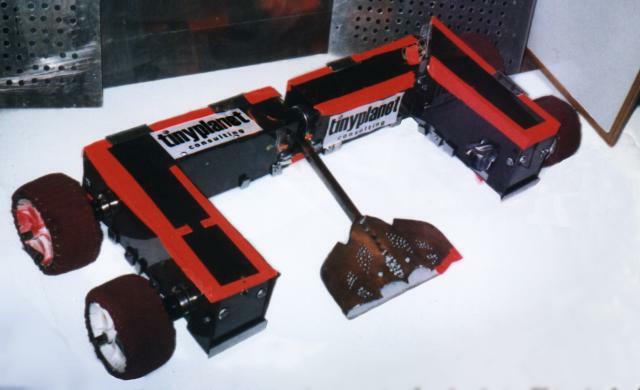 Death Ray as configured for the Robot Battles 2001 50 pound class. Death Ray with upgrades for the BattleBots 4.0 lightweight division. 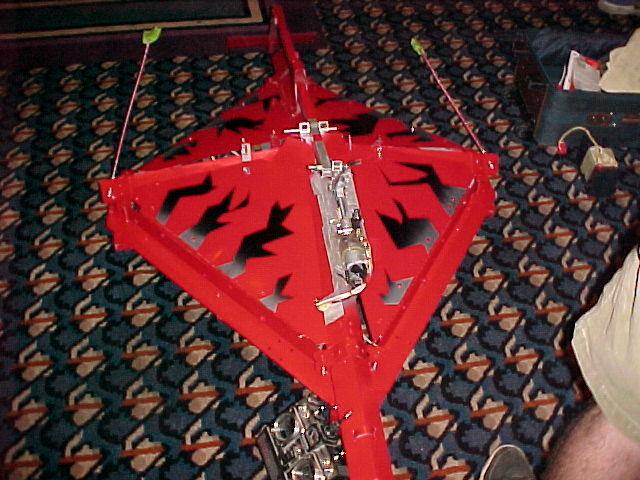 Death Ray competed at Dragon*Con 2001's Robot Battle and BattleBots seasons 4.0 and 5.0, as well as the SECR Farm Fight 2002. It took second place in the 60 pound category at Dragon*Con 2002. 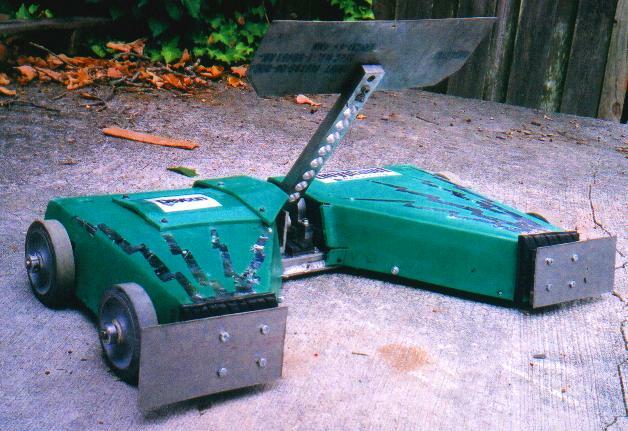 Neptune was a 280 pound robot which competed at BattleBots Treasure Island in May 2001. 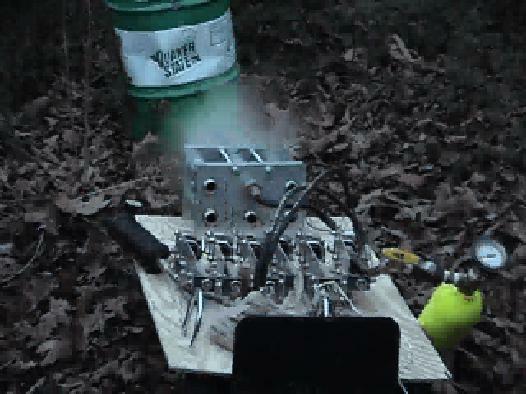 This video shows some of Neptune's components in action, including the pneumatic cannon, and the drive train/frame prototype. Created in January 2001, it should give you some idea of Neptune's capabilities. Stingray 2 competed at Dragon*Con 2000's Robot Battle. 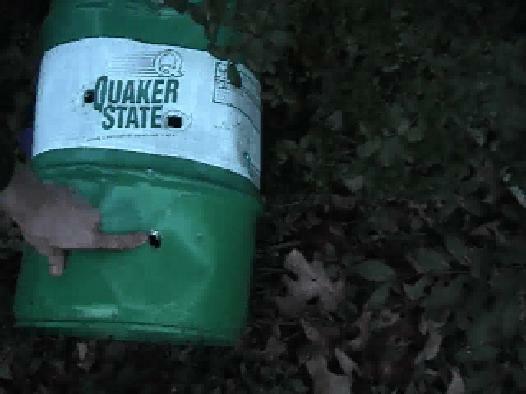 It features a lifting arm and some very nasty steel spikes. 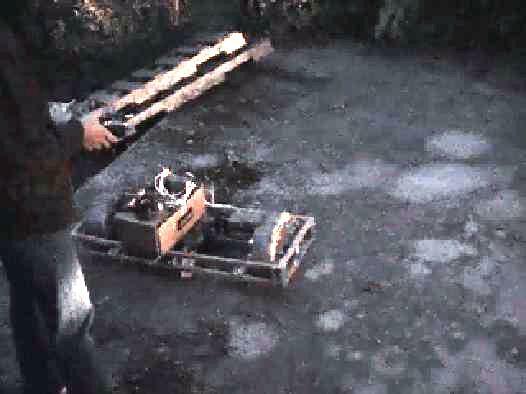 This 'bot is powered by 2 windshield wiper motors. The frame is aluminum.